DW added a host of new products to their Factory Accessories line in 2012. From completely new designs to handy upgrades, they are doing our best to make drummers’ lives easier and most of all, more creative. Not worrying about gear means drummers can get on with what they do best. Take, for example, their new Integrated Cymbal Felt System. A newly-designed cymbal seat includes an incorporated barbed sleeve to both protect the cymbal and retain the bottom felt, while the top felt and washer are now connected to the wing nut. The result is a cymbal tilter assembly with fewer parts to lose or fall on a dimly lit stage. 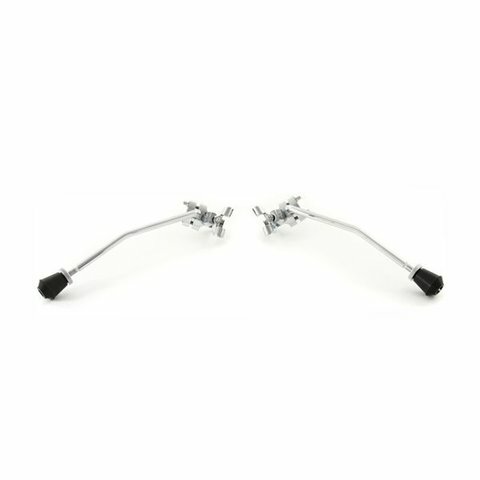 Then, there are entirely new ideas like the Incremental Clutch that allows quick adjustment of fixed hi-hats with the flick of a lever, or the Claw Hook Spur that easily attaches to a bass drum hoop to avoid creep and add more stability.